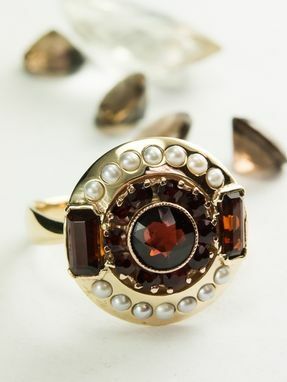 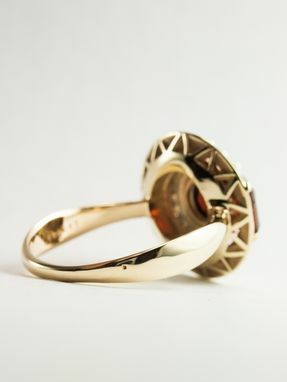 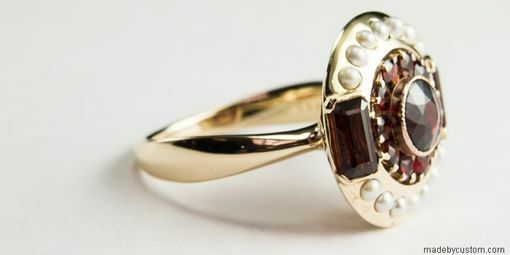 This custom ring was created by re-purposing a vintage garnet and seed pearl earring. 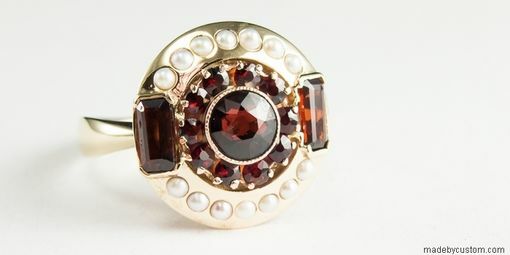 Its owner had previously lost one of the earrings, but since they had sentimental value she didn't want to discard the other. With the salvaged stones, computer aided design, and some wax casting, we turned this into a lovely Victorian style pagoda ring.